Carbopol®* is a water soluble polymer, used as an emulsifying, stabilizing, suspending, thickening and gelling agent in many industries. Carbopol is available in several different grades, which are widely used in manufacture of cosmetics and toiletries, including gels, creams and lotions, detergents, and air freshners. 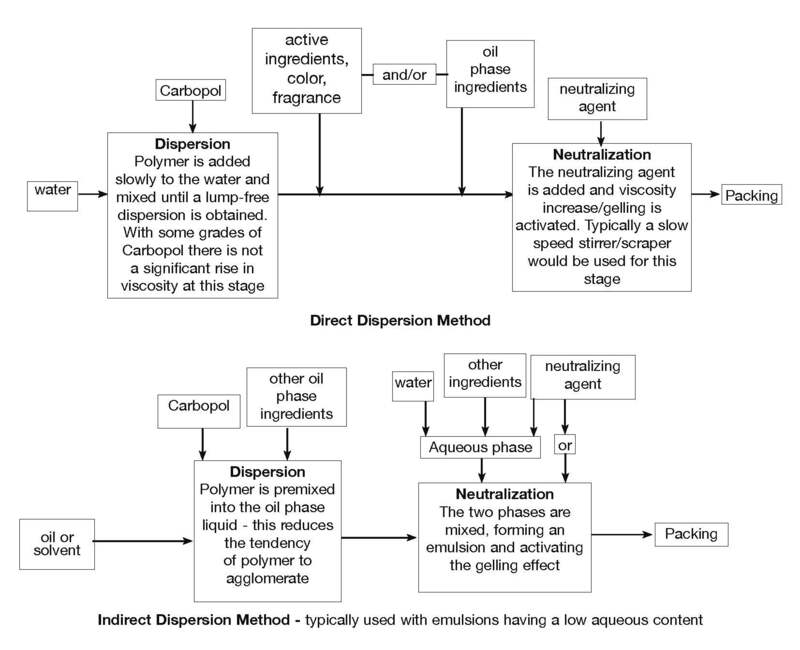 The gelling effect is activated in two stages, firstly the dispersion and hydration of the Carbopol, and secondly “neutralizing” the solution by the addition of chemicals which increase the pH. Neutralizing agents include triethanolamine (TEA), sodium hydroxide and potassium hydroxide. *Carbopol® is a registered trademark of The Lubrizol Corporation. Carbopol is generally supplied as a very light, low density powder. It tends to float when added to water, requiring vigorous agitation to be incorporated. This can cause dusting problems. When added to the water, Carbopol tends to form agglomerates which are not readily dispersed. Some powders have poor flow properties, making controlled powder addition difficult. While some grades display no significant increase in viscosity until neutralized, others start to thicken immediately, making addition of powder increasingly difficult. Aeration can create a persistent foam which may require chemical additives to disperse. Entrained air is very difficult to remove, clouding clear gels and causing problems where packaging is filled by volume rather than weight. Potential full yield is difficult to obtain with conventional agitation; many formulations contain unnecessarily high levels of Carbopol to compensate for this. Prolonged exposure to intense high shear can damage the polymer, reducing viscosity. 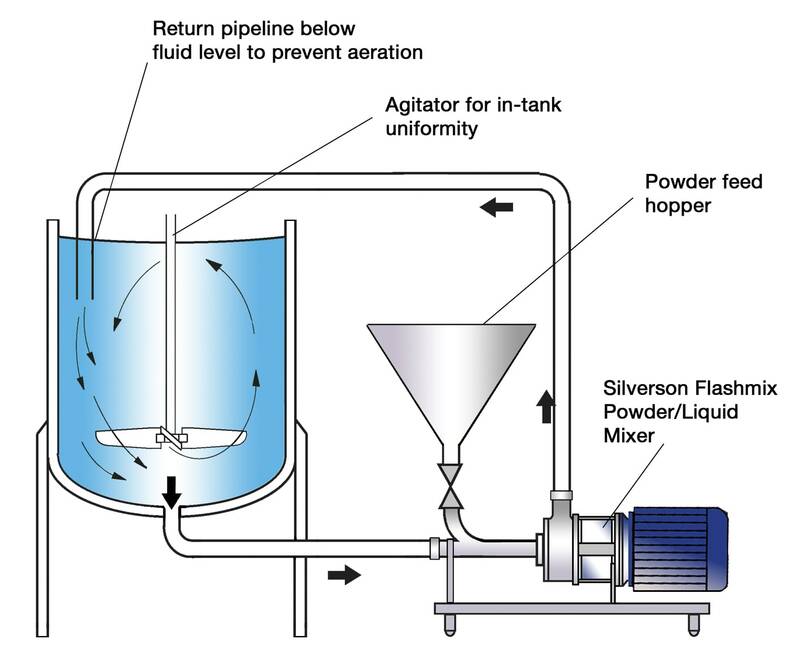 These problems can be overcome using a Silverson mixer to disperse the Carbopol. Dispersion is completed in a fraction of the time taken by conventional means, avoiding the risk of overshearing the polymer. Operation is described below. 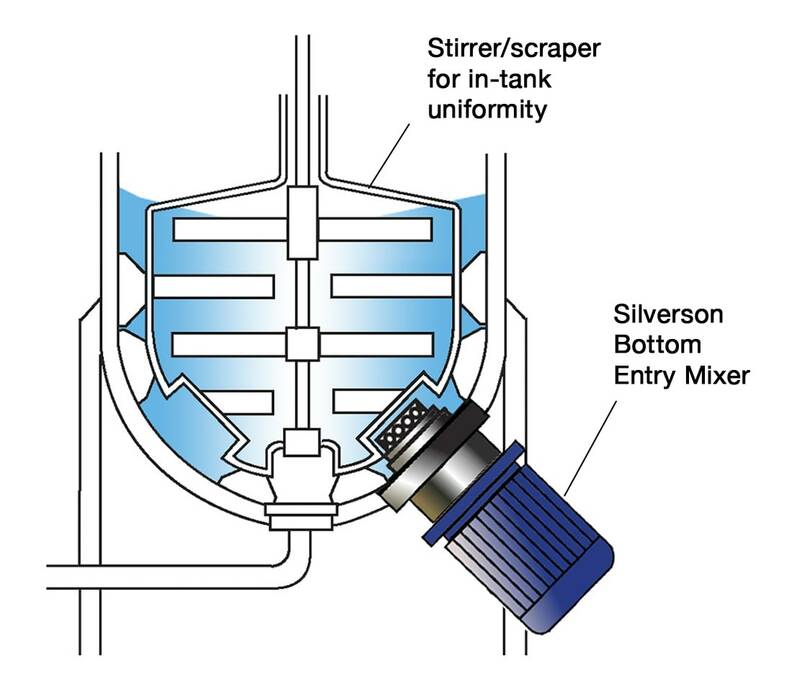 In certain circumstances Silverson mixers can be used for the neutralization stage, depending on percentage and grade of Carbopol. For high viscosity products, a low shear stirrer/scraper would be used. The vessel is charged with appropriate base fluid. The mixer is started, and the Carbopol is added. The high speed rotation of the single-piece Ultramix workhead creates a powerful vortex, drawing the powder and liquid down into the workhead where they are rapidly mixed. The materials are then forced through the slots in the side of the workhead and projected back into the body of the mix. Any agglomerates are broken down as they pass through the slots. 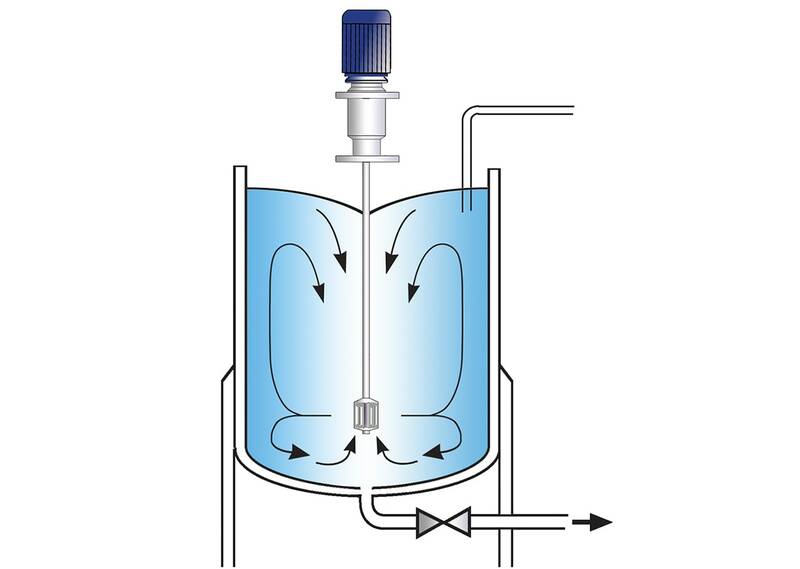 The vigorous movement in the vessel created by the Ultramix ensures that in a short mixing cycle all the material passes many times through the workhead, progressively reducing the particle size and exposing an increasing surface area to the surrounding liquid. This rapidly completes hydration. Maxmized yield of raw material as Carbopol is correctly dispersed. High speed dispersion keeps mixing times to a minimum, avoiding overshearing of polymer. 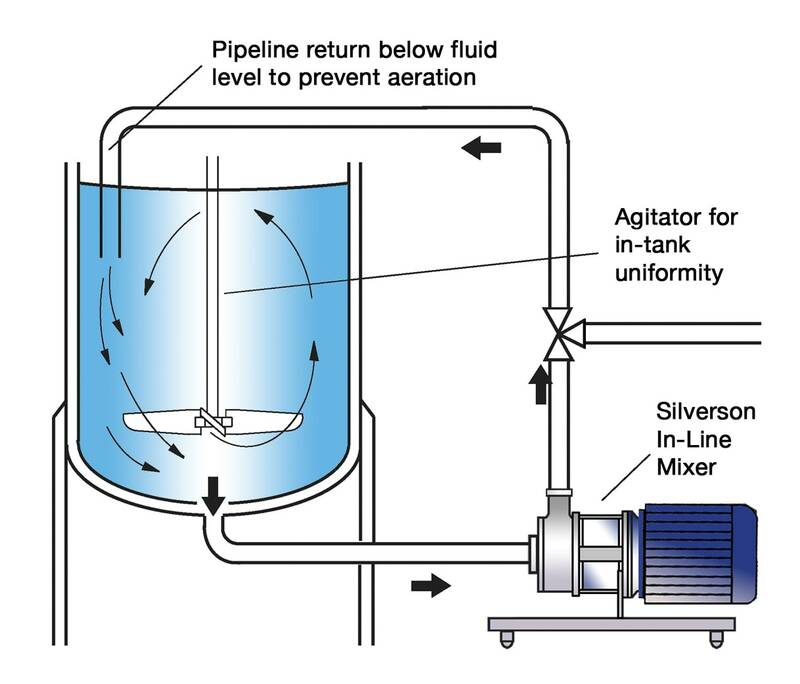 The batch size, grade and percentage of Carbopol, and the product viscosity (dependant on pH of solution before neutralization) dictate which Silverson mixer is most suitable for individual process requirements.